I am coaching chess in various schools in and around Cambridge UK. As I used to be a competitive chess player myself, getting hold of teaching materials has never really been a problem for me. Add in a projector and a laptop with Chessbase installed and I was ready to go in any classroom. I was not actively looking for new teaching aids so how come I fell in love with the online tutor LearningChess.net? 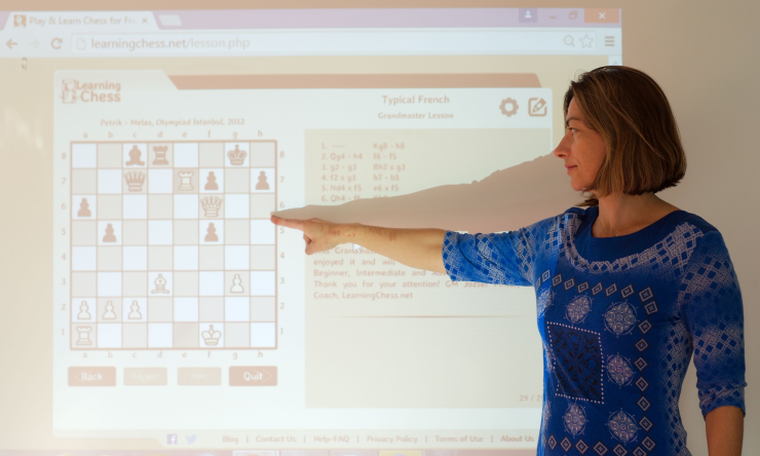 I also got into the habit of using LearningChess.net in the classroom with a Smartboard. My favourites are the Grandmaster lessons: they are short and sweet and contain top-notch chess without fail.